I'm better at spotting bikes than riders on the trails. Riding glasses and helmets are like superhero disguises, they befuddle me. What do you ride? 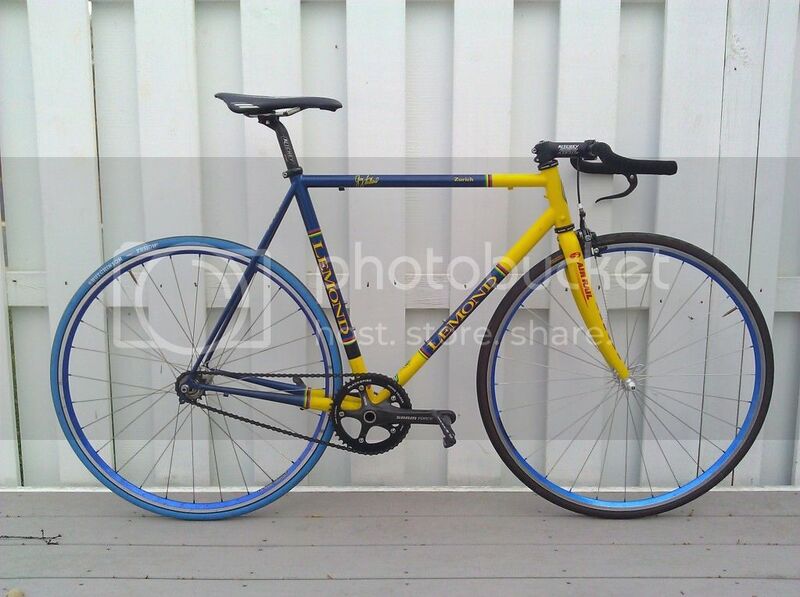 I've had my LeMond the longest. Bought the frame on eBay in 2002 and it's still my favorite. How the heck do you choose what to ride?? For what I do, I think 3 bikes would be ideal (have 2 now still), but 9? Wow. You also definitely do not live in a 2-bedroom apartment in the city. most impressive jabberwocky, I covet the Ibis (no tape yet?) and Poprad most. Haven't seen any of your bikes on the road (or off road) yet. 98% of my riding is on either the Mojo (for MTB) or the Silk (for road). The others are either for a very specific purpose (like the dirt jumper or DH bike) or are sort of "when I'm in the mood" bikes (like the fixies and singlespeeds). I fortunately live in a townhouse, and the finished basement is basically a bike room. Good thing, because in addition to those 9 I also have another FS mtb (a Giant Trance) and an Electra cruiser for my girlfriend. I took that pic the day I built it, before tape. It has a few thousand miles on it now. I believe I noticed that Dirt's machine is sporting a flag as well. Last edited by rcannon100; 11-04-2012 at 09:32 AM.